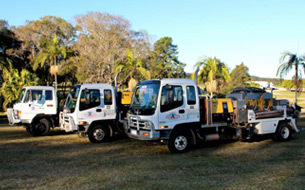 Our pump truck fleet is modern and reliable and we take pride in keeping our fleet perfectly maintained. • Isuzu FRR550 with a Transcrete Trojan P60HP vehicle mounted pump. 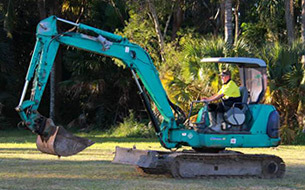 pumpline is attached as can reach heights up to 15 metres. 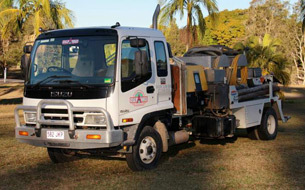 We also operated tip trucks, excavators, skid steers and other machinery to achieve the best possible end result for each and every concrete job undertaken. We have built a strong reputation as being dedicated to quality service and providing customer satisfaction. We will ensure that your concreting requirements are met every time.